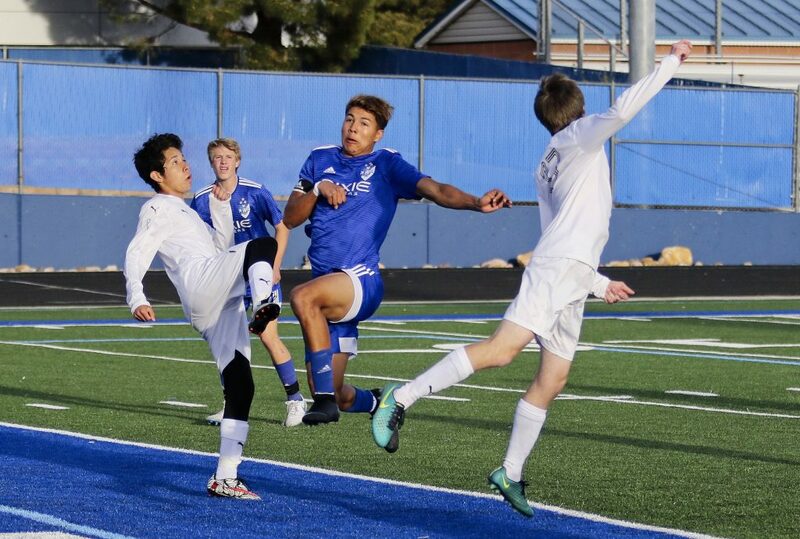 ST. GEORGE — The Dixie High boys soccer team scored twice in the first half Thursday night, then held on to beat Canyon View 2-0 at Dixie. 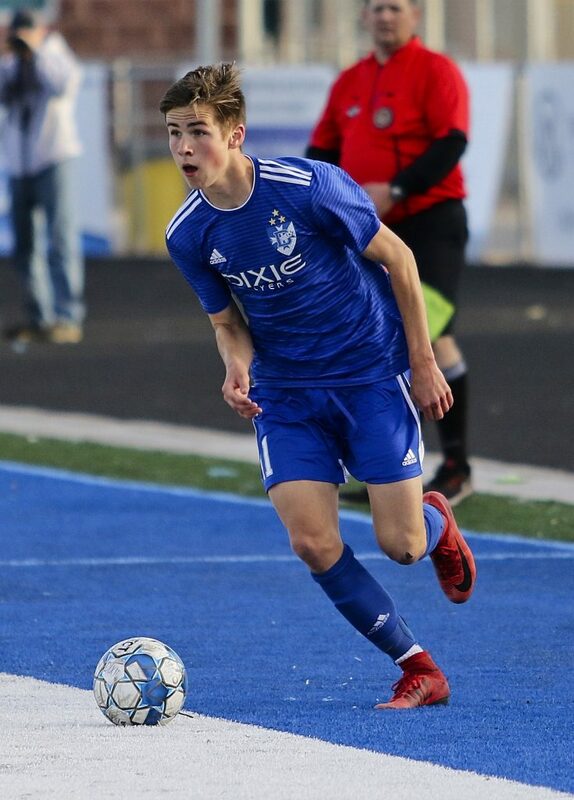 The game was originally scheduled for Friday but was moved up a day because Dixie is hosting an invitational track meet this weekend. 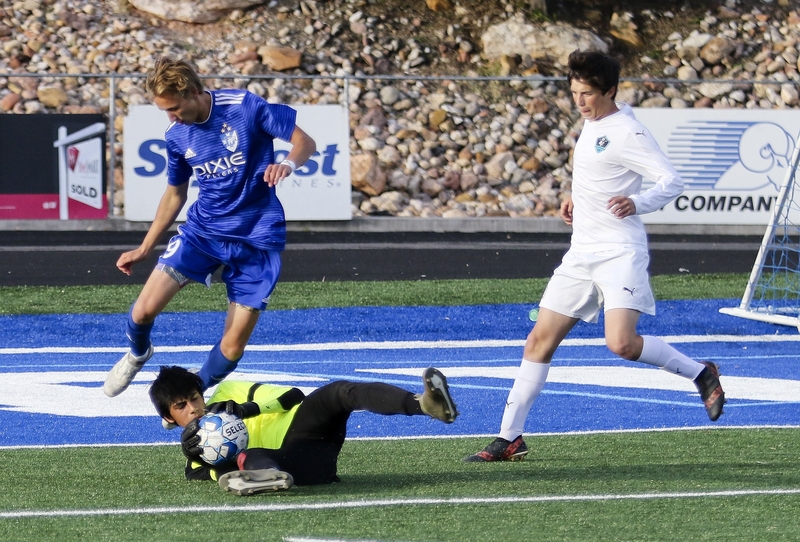 Myers praised the play of both goalkeepers – Dixie’s Jacob Larkin and Canyon View’s Gabe Borst. 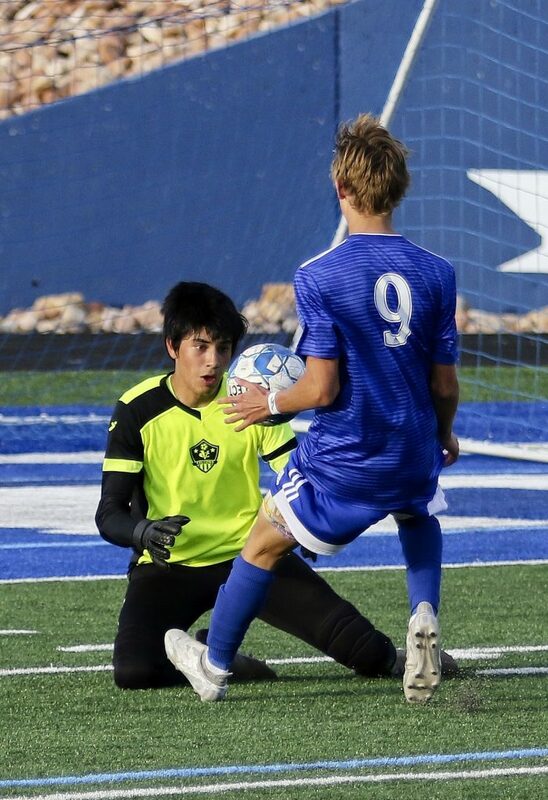 Canyon View head coach Dustin Schaible also lauded Borst’s effort, calling it “an outstanding performance,” and said the Falcons played well in the loss. 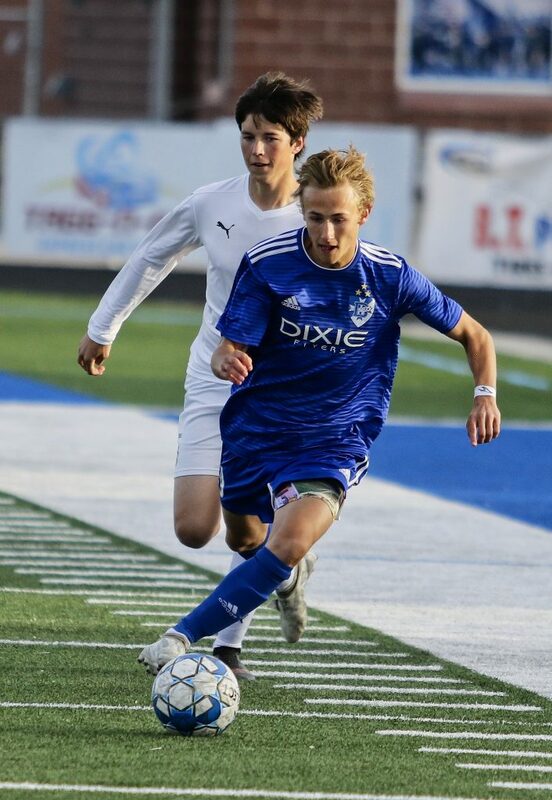 “Dixie scored two good goals on us, but I’m really proud of how we played defensively and threatened on counterattacks,” Schaible said. 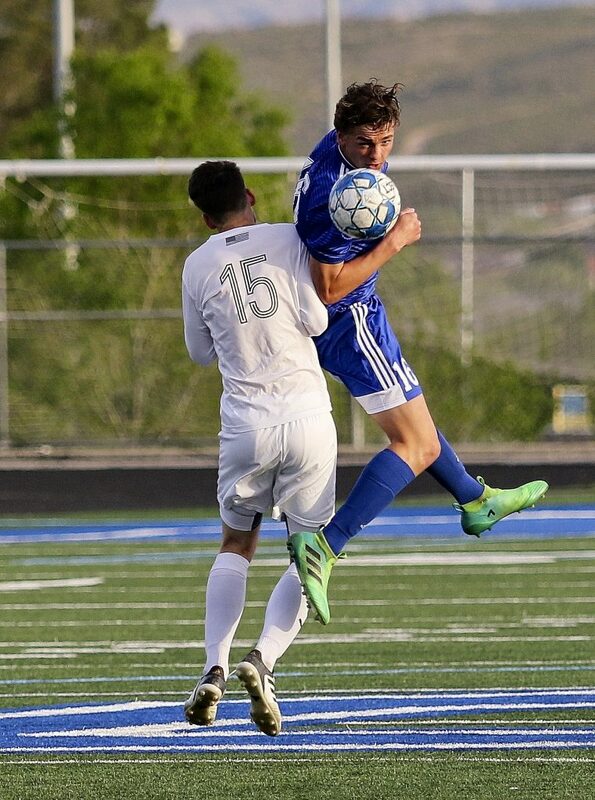 First-place Dixie improved to 8-1 in region play with the win, while Canyon View dropped to 3-5-1 with the loss. 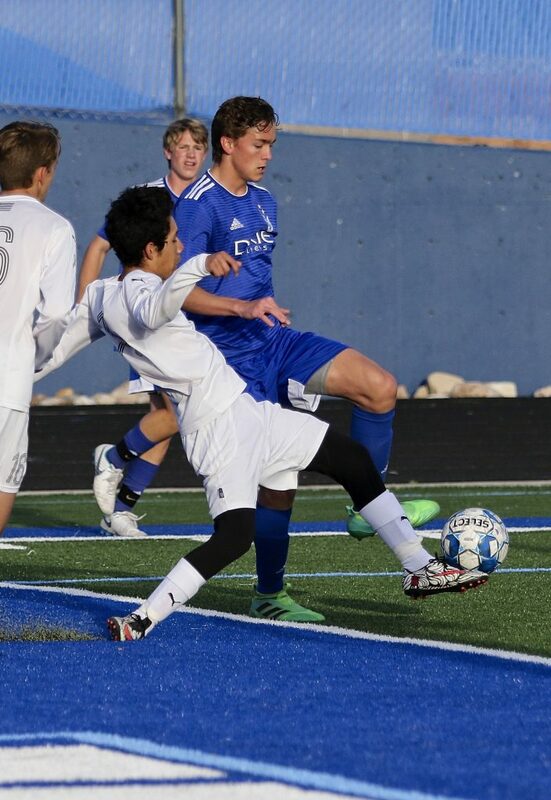 Updated April 13, 11 a.m. to include recaps of Friday’s games and updates to the standings. 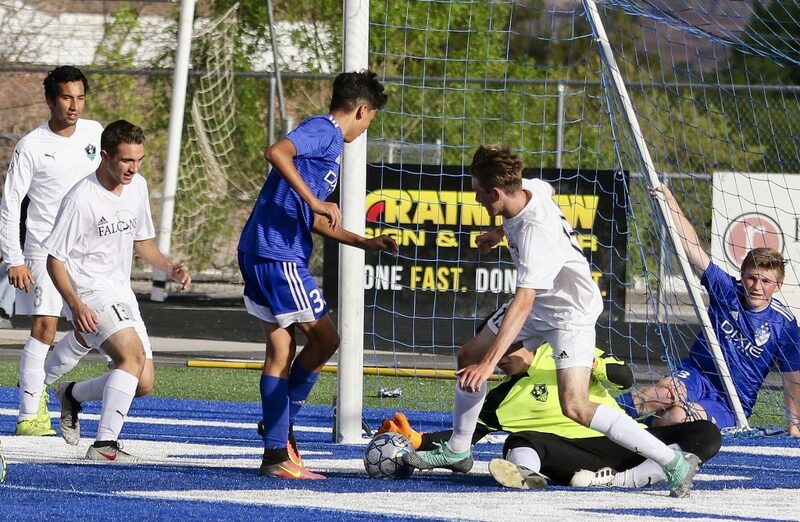 In Friday night’s Region 9 soccer action, Desert Hills shut out the Panthers 4-0 at Pine View. 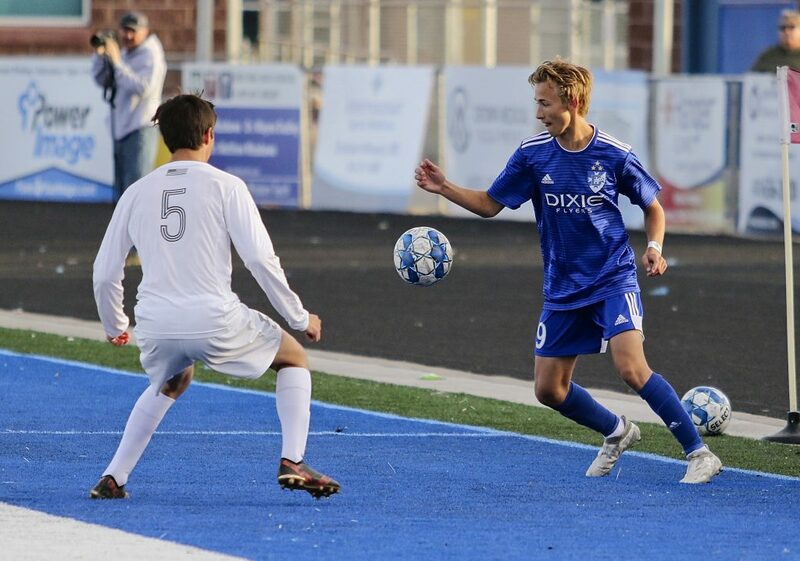 Sawyer Heaton scored a hat trick for the Thunder and Ben Simister added a goal. Keeper Preston Hodges recorded the shutout. 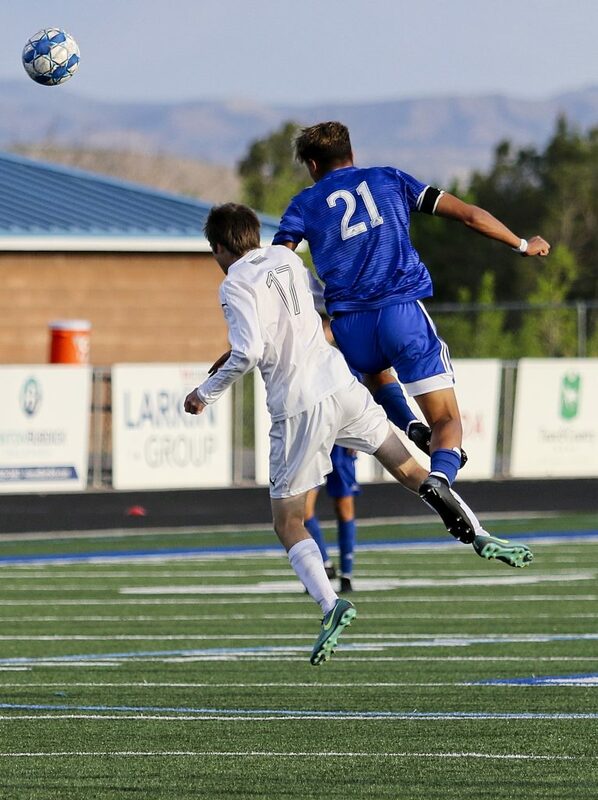 Also on Friday night, Snow Canyon defeated Hurricane on the road, 5-1. 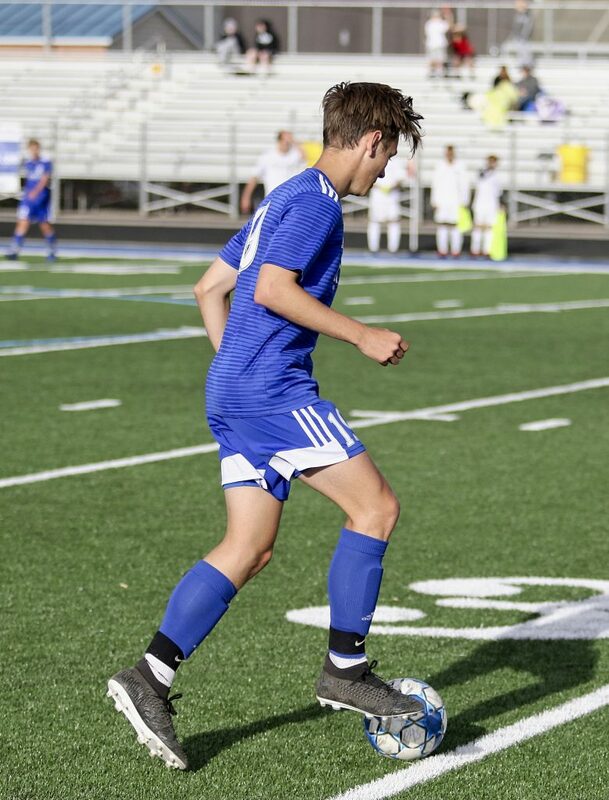 Five different players scored for the Warriors: Luis Gamez, Jorge Segura, Sanders Esplin, Jacob Wittwer and Josh Abbott.